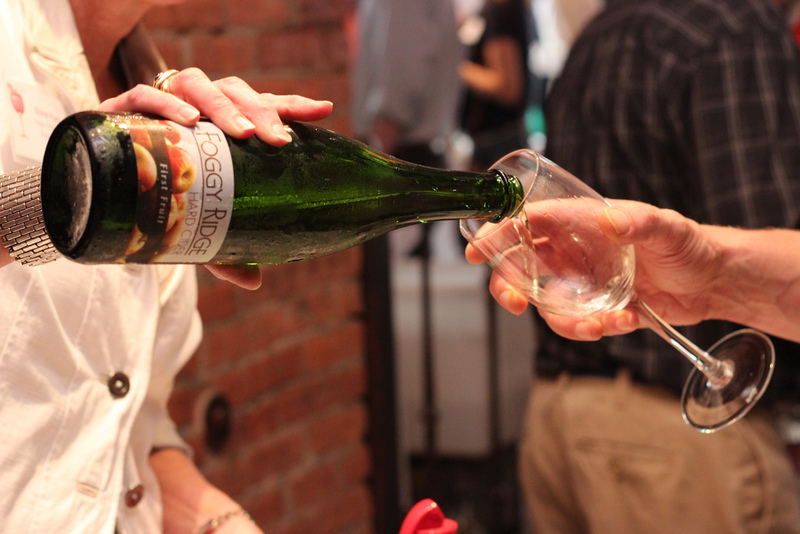 Oct. 12-21 marks the second annual Cider Week NY: more than 180 restaurants, bars, shops, and markets in New York City and the Hudson Valley will feature regional, orchard-based hard ciders through special tastings, flights, events, pairings, and classes in order to build awareness and appreciation for this reemerging traditional American beverage. These and many more events can be found at ciderweekny.com/events. New events will be added daily. Participating locations include more than 120 restaurants, bars, shops and markets in New York City, including Gramercy Tavern, Anfora, the Breslin, Marlow & Sons, Terroir, Tertulia, and Eataly, among others. More than 60 establishments in the Hudson Valley will participate, including Blue Hill at Stone Barns, Agriturismo, Cafe le Perche, and more. The full list of participants is available at ciderweekny.com/locations. Cider Week, an initiative founded by agricultural not-for-profit Glynwood, highlights farm-made, regional cider producers from New York and the Eastern U.S. with a goal to support local orchards while also reviving heirloom apple varieties. Hard cider was an American tradition until the early 20th century, when it was lost to Prohibition and urbanization. Regional cider makers across the country and in the Northeast are now spearheading the comeback of distinctive, American, orchard-based libations, crafting hard ciders that pair well with food or can be enjoyed on their own. Cider Week’s events aim to build appreciation and demand for regional ciders and, in so doing, bring profitability to local orchards while reviving heirloom apple varieties. For more information on Cider Week, please visit ciderweekny.com. Glynwood’s Apple Project is promoting the production of hard cider and apple spirits as high-value products that will increase orchard viability. The project is stimulating “apple entrepreneurship” by encouraging the diversification of apple varieties, giving growers new resources for improved skills, and supporting a market for these products. For more information about Glynwood and Glynwood’s Apple Project, please visit glynwood.org and appleproject.glynwood.org.